Need to make changes to your call sheet? 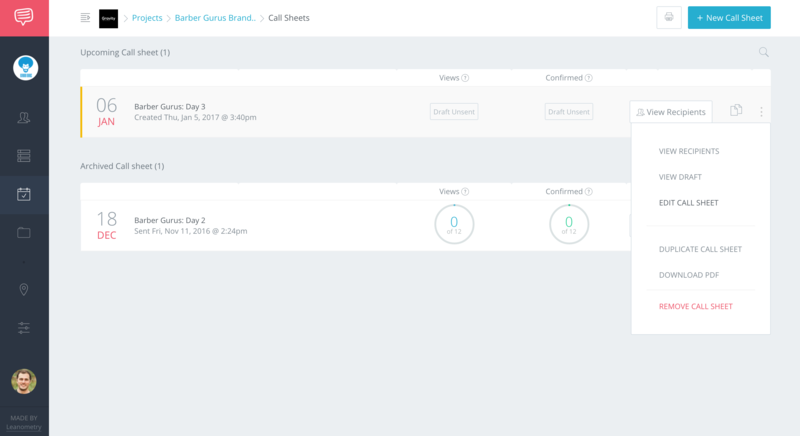 You can easily modify a sent call sheet or one in Draft mode. 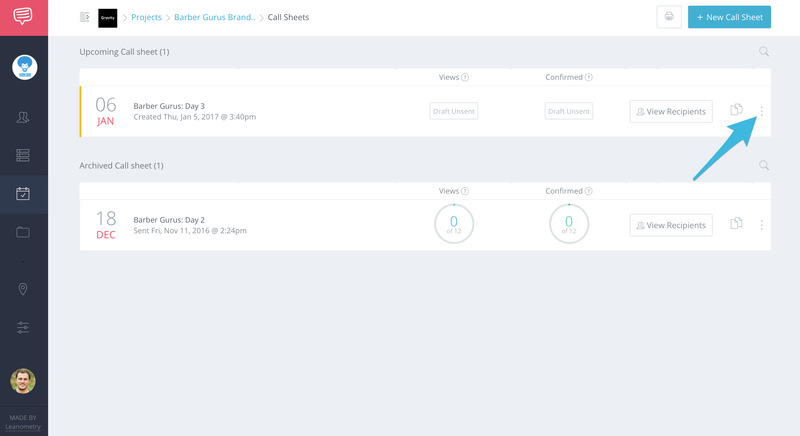 On your Call Sheets page, click the more icon located at the end of the row. After clicking the icon, click Edit Call Sheet in the dropdown. Make the necessary changes and click Send or Preview.